* Mariell's captivating wholesale wedding earrings with a bold pear shaped cz drop add the finishing touch to your wedding or special occasion. * This captivating wholesale wedding earring will add the finishing touch to any wedding or special occasion gown. 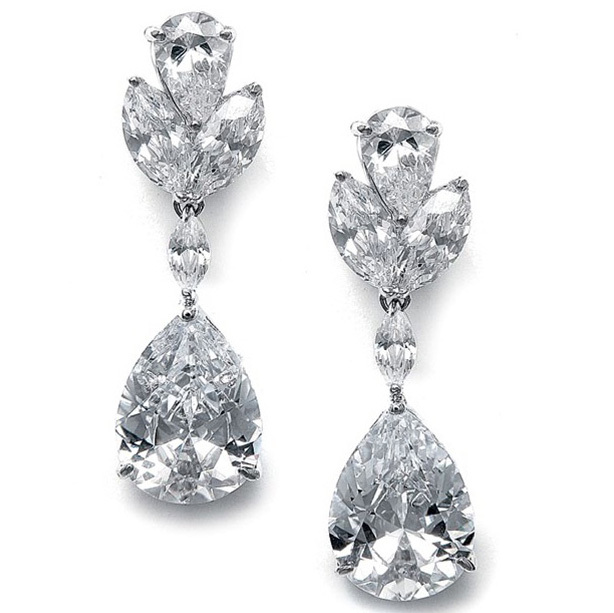 * These best-selling cubic zirconia earrings measure 1 1/2" h and are plated in high quality silver rhodium.